There's a particularly arresting and entertaining moment at the start of Austin Pendleton's comedy, receiving its UK premiere at the Southwark Playhouse. Lead character Kenneth Tynan - a theatre critic - addresses the audience with a self-referential monologue into the typical way to start a play and deliver exposition. It sets up a play that is full of humour: actorly jokes, hyperbolic characterisation and plenty of nods to the critics in the audience. It's also a play tinged with sadness. Set in 1960, Orson's Shadow centres on a specific episode of celebrated film director Orson Welles' life, when he directed Laurence Olivier in a production of Eugène Ionesco's Rhinoceros at London's Royal Court Theatre. It's a play about creatives, about egoism, about control. The brusque Welles may be director, but perfectionist Olivier has very different ideas about his performance. Both are control freaks who fail to control either the play nor their own temperaments. Throw Olivier's wife Vivien Leigh into the already volatile mix, and Rhinoceros has disaster written all over it. This isn't a particularly well-known period in either man's life and Pendleton manages to tease plenty out of the situation. The problem is that too easily this production slips into caricature. John Hodgkinson wears a hunchback and fat suit for his portrayal of Welles, grotesquely amusing alongside his brash, snappy arrogance. 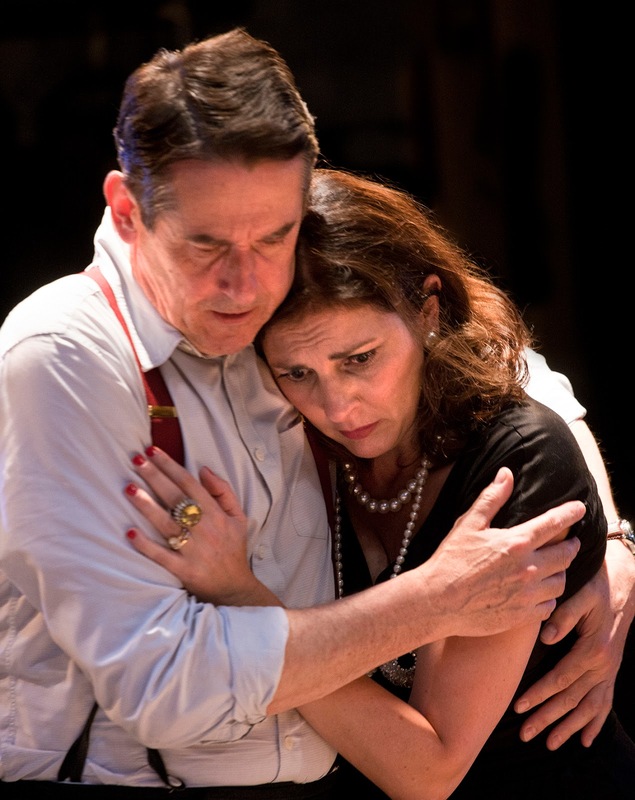 Adrian Lukis plays a wittering, flamboyant Olivier who fussily obsesses over every detail. Later, enter Gina Bellman as femme fatale Vivien Leigh, somehow managing to ramp up the madness levels even further. The result is a long-winded shouting match between the male leads that's loud, relentless and draining to watch. Ironically enough for its subject matter, it has little direction and ends suddenly with a neat round-up of events post-Rhinoceros. Tension stems purely from clashing egos, simplifying their relationship and lacking dramatic impetus. Moreover, it appears to make a mockery of some of the greats of cinematic and dramatic history. Turning these figures into a laughing stock is a little too close to the bone, lending the play a tragic tone. 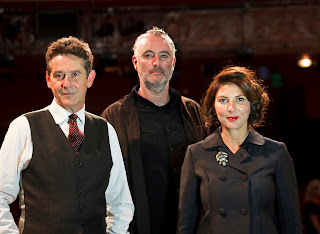 Accompanying the leads are Louise Ford as a believable and natural Joan Plowright, and Ciaran O'Brien in a hilarious turn as Sean, Welles' assistant. And then there's Edward Bennet as critic Kenneth Tynan, caught in the middle of the whole thing as the unfortunate, perhaps even regretful, instigator. His exasperation is palpable - not only from him but from the audience too. 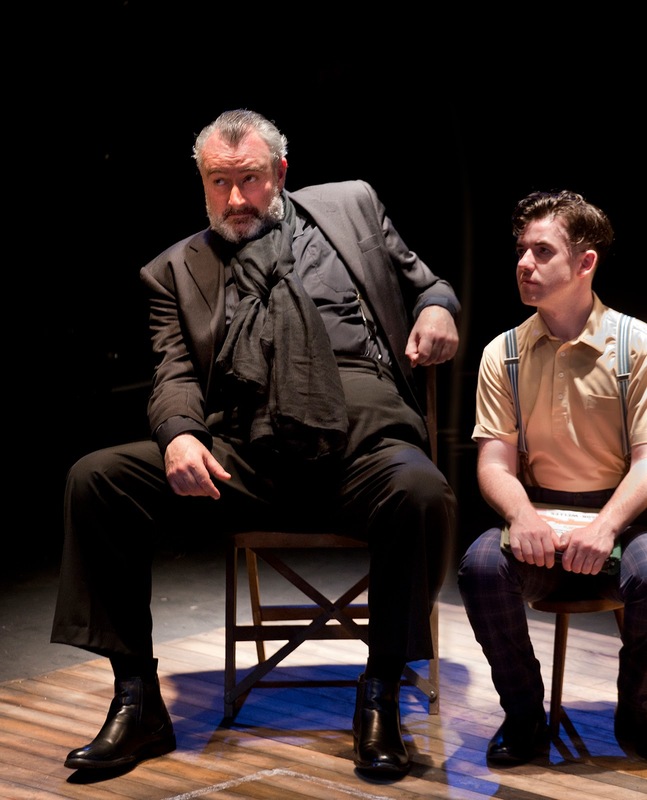 Watch: Orson's Shadow runs at the Southwark Playhouse until 25th July.